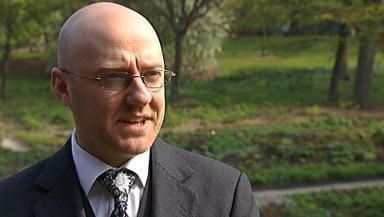 The co-convener of the Scottish Greens sits down with STV’s Stephen Daisley. As part of STV's Holyrood election coverage, I am sitting down with all the major and minor party leaders to talk about their prospectus for government. That interview will be published later on Tuesday. As a taster to whet your appetite, here are Harvie's answers to a quick-fire quiz on everything from Bernie Sanders to Gogglebox. Stephen Daisley (SD): Internet memes - Grumpy Cat or pugs? PH: Am I allowed Greenpeace? They're global. Okay, if I'm not allowed that, I would probably go for Valve, the Steam gaming platform. SD: If you could take away Donald Trump's wig or his Twitter account, which would you take away? PH: I would take his wig because even though he's obnoxious and offensive, Twitter does allow people to point and laugh and see what an idiot the man is. PH: I think Ska Keller in Germany is fantastically bright, passionate, articulate, and a powerful speaker. I'd certainly put her high up the list. PH: No. It's a free world. Somebody asked me that about Justin Trudeau the other day. Hot or not. I said hot-ish. Some caveats there. Not convinced. SD: Favourite Green - Lantern or Eggs and Ham? PH: I don't think I've read Green Eggs and Ham or seen the Green Lantern. SD: It's okay. I'll just write 'something, something... Doctor Who'. SD: 'Cutting down a tree is a good thing to do'. Whatever you say, I'm going to edit the quote to just that. PH: Forestry. Sustainable products. It's all great. Not one with a tree preservation order on it. And I hate driving. I can but I just find it a really stressful, unpleasant thing to do. SD: No, 'Captain Planet'! From Captain Planet and the Planeteers! The most environmentalist kids' show ever. You've failed me. Whoopi Goldberg and Meg Ryan did the voices. You've failed them too. 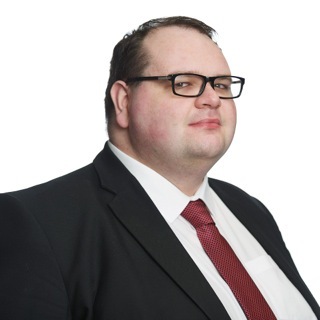 Stephen Daisley is STV's digital politics and comment editor. He had way too much fun sourcing those Captain Planet gifs. You can contact him at stephen.daisley@stv.tv.